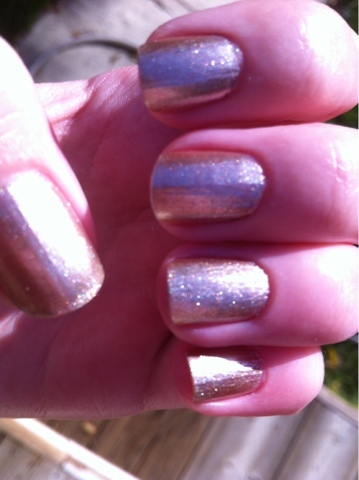 Sephora by OPI in "Keep Me On My Mistletoes"
This nail polish is a beautiful shimmery champagne gold color. 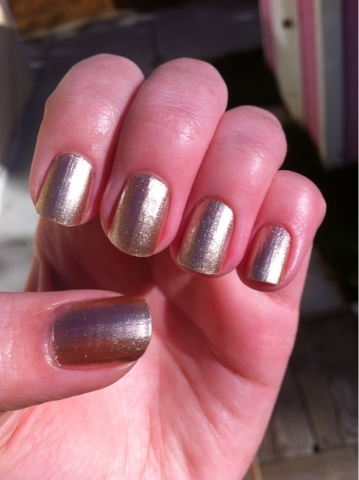 There is a mix of small gold and silver shimmer that makes the polish shiny and different from an ordinary gold color. 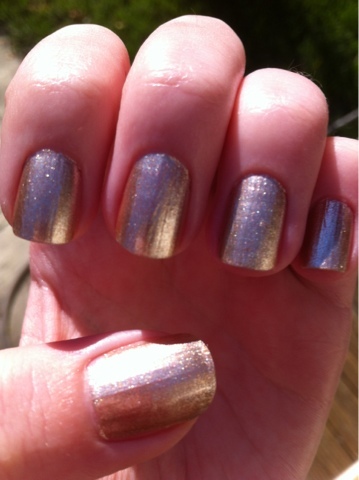 After a week of wearing it, it has only chipped a little at the end of my nails. 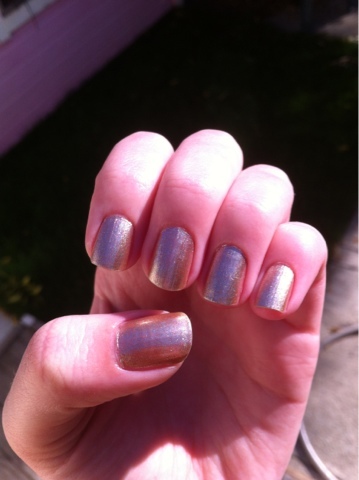 I applied about two coats on each nail.